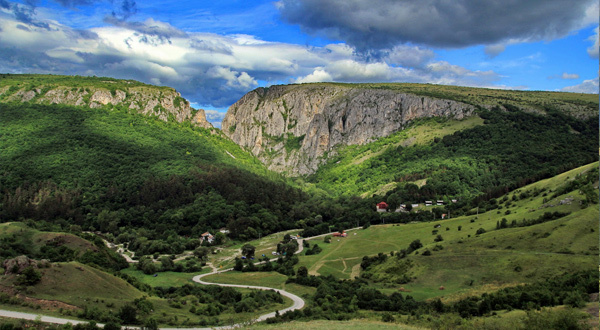 Motorbike tours in Romania lead through a variety of landscapes that are waiting to be explored on bikes. 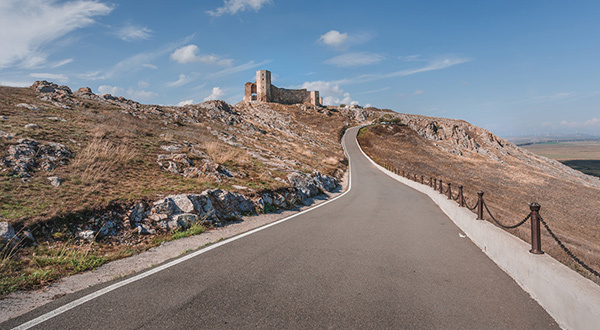 Whether it is on the pass roads through the Carpathians, with the picturesque valleys and the traditional villages, or along the Danube to the coast on the Black Sea – all this can be experienced within a few days in a beautiful motorcycle tour. We recommend that you fly to Bucharest and start your tour from here. 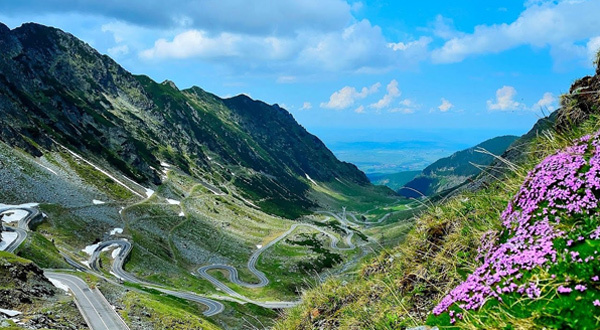 The well known and spectacular motorcycle high road in Romania. Thousands of kilometers through the Romanian Carpathian mountains. The highest elevation to cross the Carpathians mountains in Romania. . 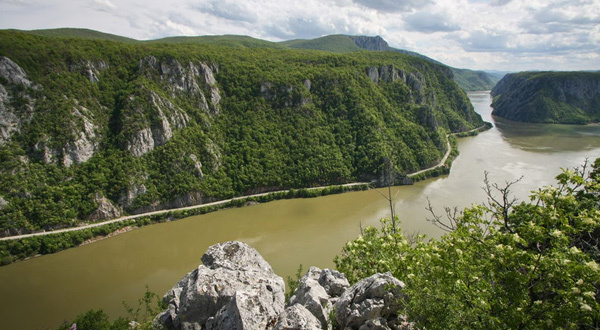 Follow the Danube river through the West Carpathian mountains. The coastal road of the Black See and the Danube delta. Transylvania in the western Romania, also knows as the land of Dracula. The Transfagarasan mountain road crossing connects the southern part of Romania with Transylvania (in the northwest). It is part of the 150 km long national road 7C (DN 7C). The pass is at an altitude of 2084 meters, where the Balea tunnel, which is about one kilometre long, crosses the 2398-metre-high ridge of the Carpathians. Next to the summit is the glaciar lake Balea, where you can traditionally make a stopover at the Balea hut. Other sights on the route are the Balea waterfall, the Vidraru Lake, as well as numerous viaducts and tunnels. And ultimately are the view and the ride for which the TRANSFAGARASN became known worldwide. The Transalpina mountain crossing road, also known as “The Royal Road”, is the highest road in Romania, with a summit of 2132 meters (about 50 meters higher than the Transfagaran pass). The pass connects the southern part of Romania with Transylvania (in the northwest) and is about 150 km long. Transalpina is part of the National Road 67C (DN 67C) and was recently completely restored (2012). The pass was built in the 1930s and served as a strategic route in the Second World War. Since the Transalpina pass runs along the mountain (and not in the valleys), you can enjoy a wide view over the Carpathian. Black Sea: In the easternmost part of Romania you reach the Black Sea and the Danube Delta. Along the coast, there are almost 250 kilometers, through tourist resorts and beach resorts. In the city of Constanta, the oldest continuously inhabited city of Romania, the historic Old Town is the main attraction. At the southernmost point of the route, only a few hundred meters from the border with Bulgaria, lies “Vama Veche” (en: “Old customs”), a seaside resort that has been able to maintain its hippie flair over the years, as there are only few hotels here (only pensions). On the route there are the ruins of an ancient Greek castle and the nature reservation “Cheile Dobrogei”. Danube Delta: north of the Black Sea is the famous UNESCO World Heritage Site of Danube Delta. There is a distance of about 300 kilometers, through one of the oldest settlements in Europe: Enisala. People have lived here since the Ice age. Nowadays, Enisala is known for its medieval fortress. In addition, you can experience nature in pure form: the Danube Delta. 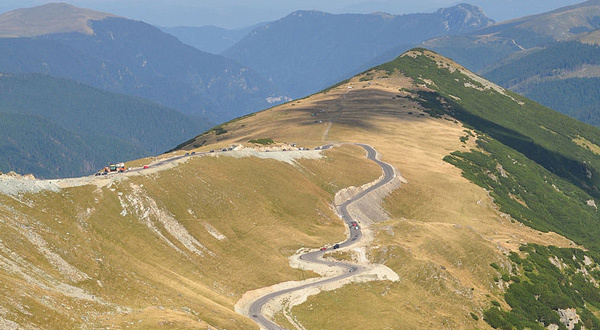 The most famous and most mentioned motorcycle routes in Romania are certainly Transfagarasan and Transalpina. However, there are many thousands of kilometres of beautiful routes through the Carpathian Mountains, which we can only recommend to you. On this map, all of the routes that we ride each trip and every touring driver are all about. Which are the nicer or the better routes, is of course a matter of taste / preference, but certainly each of them is worth the ride. 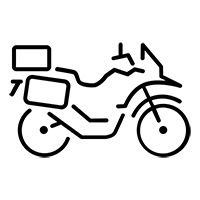 It is best to select certain partial routes or sights first, and then to combine them with the best routes so that everything fits within the desired time frame. We are happy to advise you, just write us a few details about your planned tour and we can provide you with appropriate tips and tricks. The Danube river through the West Carpathian mountains. One of the most beautiful routes in the west part of Romania is about 300 kilometers, which runs halfway along the Danube and the other half through the mountains, along the river Nera. Along the spectacular gorge of Danube, you’ll pass by the Decebal statue, carved in the mountain, Bigar Waterfall, one of the most beautiful of the world, and sip on the narrow road between the mountainside and the Danube. On this route there is the resort of Baile Herculane (en: Herculean Baths), a settlement that has existed since Roman times (152 A.D.). The route is highly inviting with its many attractions, such as the ruins of the Roman bridge at Drobeta, Topolnita Cave, Danube Clough, The Iron Gates Dam and many waterfalls in the mountains. In Transylvania there are about 10 well known 1-2-day tours, with a total distance of over 3000 kilometers. It is essential to visit the historic towns of Cluj-Napoca (Cluj), Alba Iulia (Karlsburg), Medias (Medwesch) and Sighisoara (Schäßburg), while on the way to the many castles, church castles and caves. Many places remind of Prince Vlad Tepes, who was also the inspiration for the famous novel figure Dracula. All the sights are on the mountain ranges, through the Carpathians, up to the northernmost point of Transylvania (Sighetul Marmatiei – Marmaroschsiget) where the border crossing to Ukraine is. Planning for a motorcycle tour in Romania? - Talk to us! The new F 850 GS is ordered and will be ready for the 2019 Season.